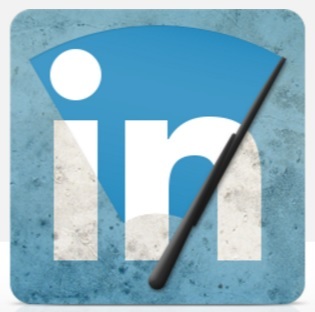 Blog LinkedIn - "Known Issues"
For me and for many others, LinkedIn is “the” site for finding and connecting with professionals. LinkedIn has created an incredible shift in how we are searching for professionals for recruiting. I am not a fan of LinkedIn Customer Support, though. I have heard of significant improvements for Support but am not sure those improvements have happened. Here are some observations. 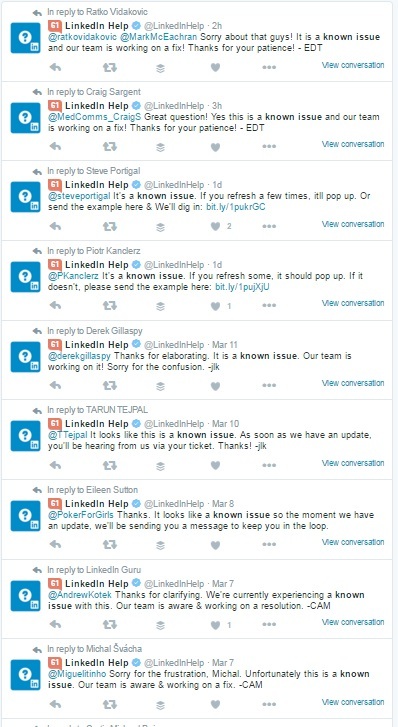 If you have submitted a report to LinkedIn Customer support, chances are, that you got this reply: “What you’ve encountered is a known issue and I’m very sorry for the inconvenience”. There is rarely a follow-up from Support; some issues are fixed (as users discover, usually, on their own), some, stay for a while. Inability to see the contact info on the 1st level connections (sometimes resolved by refreshing, but not always). Changes (the functionality shrinking, but sometimes coming back for various users) in searching, sorting, and filtering of the Contacts. I have also noticed an issue with introductions on LinkedIn; I will share in another post, soon. And they wonder why their stock dropped recently by 35%. For me it was two weeks that i could not search with the zip code. I dont think they shud charge ne for the full subscription fee when they dont fix a major issue for 2 weeks. It’s a breach of contract on their side! How sad that this is their level of service. Revenge is best served cold… I hope the day will come… When they pay for their arrogance.